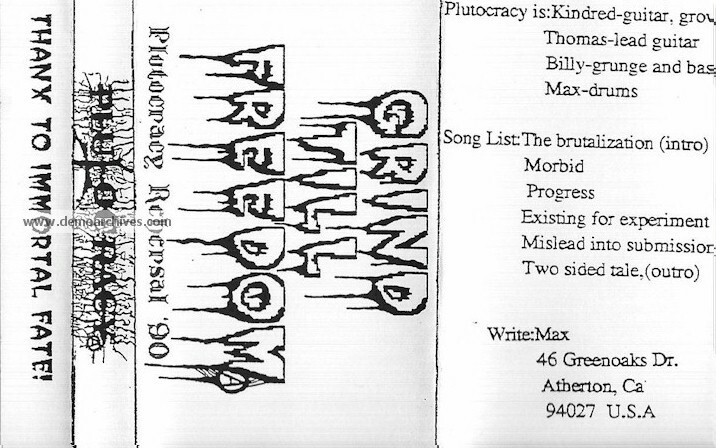 Plutocracy was a Grindcore band from Atherton, California and a major player in the west bay underground fast music scene. They existed from 1988-1993 and then reformed in 1998 to record an album to honor former bass player Dan "Zodiac Iller" Hogan who had recently passed. 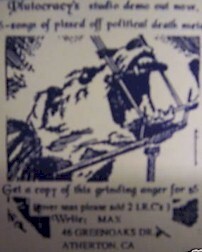 Plutocracy's musical style can be summarized in one word: Dankcore. A mix of grindcore, distortion, movie samples, gangtsa rap, and multiple screaming voices with references to killing cops, smoking weed, and inside jokes regarding their "crew", known to many as the "Doomryderz"